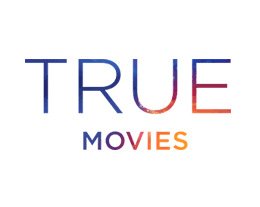 'Tis the season: True Movies has undergone its annual branding to True Christmas, earlier than before. The channel, which specialises in mostly US made-for-television films, is now in full Christmas mode for the remainder of the year, available on Freeview, BT, TalkTalk, Plusnet and EE TV channel 62, Sky channel 319, Freesat channel 302, Virgin Media UK channel 424. The switch is earlier than last year, when the relabelling took place on the 2nd October. In 2016, it launched on 30th September. Freeview viewers who live in NOW 80s coverage area can look forward to that channel switching to NOW XMAS in late November, while satellite and cable viewers can look forward to further seasonal channel changes in the coming months, including Heart TV's annual switch to Heart Xmas. But no-one does it earlier than True Movies. In other terrestrial TV news, Quest Red+1 has moved from channel 84 to channel 78 - channel 78 has been empty since the end of June and was previously occupied by Sewing Quarter. However, Quest Red+1 has limited UK coverage.